This Rasta wall sticker radiates peace and love. 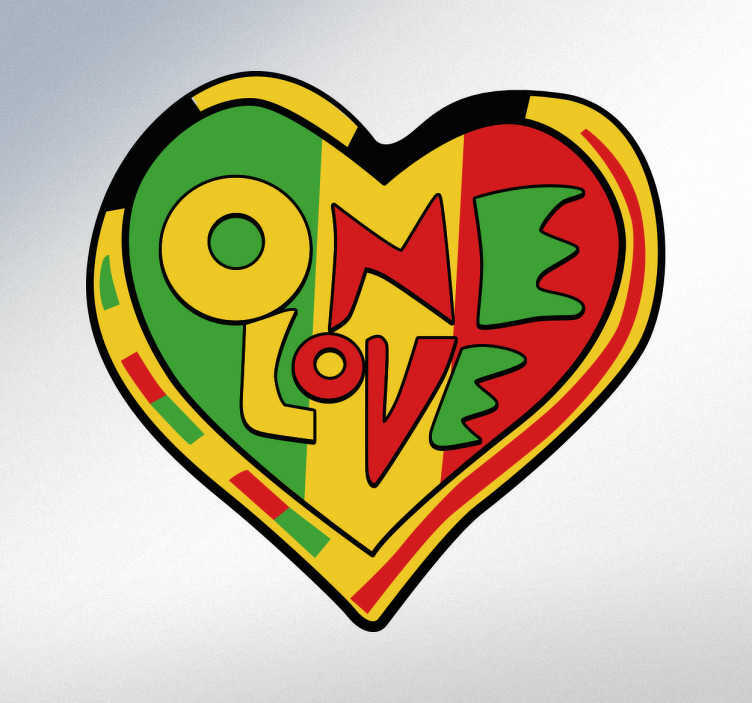 The wall sticker consists of the message "one love" the famous song from Rastafarian, Bob Marley. The sticker comes in the shape of a love heart and in the colours of the Rastafarian flag. Decorate your home, office or business with this wall sticker and spread the message of loving everyone.